On Sale £14.75 - all incl (No hidden extras). We'll Even Pay Your Return Postage! Yes ! 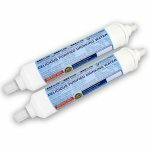 This filter can replace all Samsung fridge filters that use Magic Water Filter EF- 9603, the WSF100 or the HAFEX/EXP cartridges. And we give you the Best Price available anywhere. The cartridge we supply is not made by Samsung. However, it is at least as good in quality. 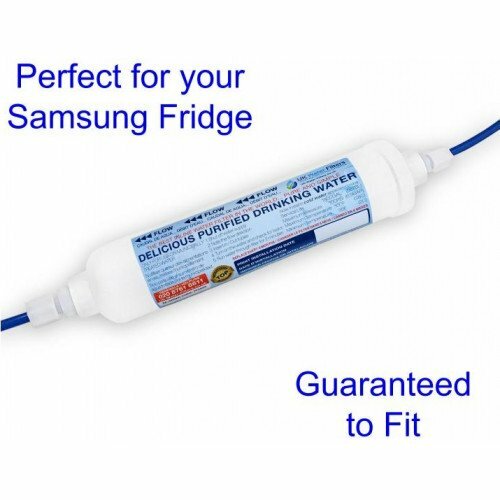 Let's put it this way: A lot of people come to us to replace their Samsung Fridge water filters. And 99% of them keep coming back. They tell us this is because of our very reasonable price and the evident high quality of the filtered water. Our compatible replacement cartridge is ON SALE NOW at £14.75 VAT included. That's it. No hidden extras. You can save at least £20 on high street prices. No extra connections needed. It's fully compatible with your fridge. Why is this Fridge Filter Better Value than the Samsung Original? Well, you'd probably be best asking Samsung why their filters are so expensive ! In-line fridge filters like the one you have are simply "carbon" packed into plastic tubes. And that carbon is simply burnt coconut shell. That's it. We have our filters specially made and sent direct from the factory. We are delighted to be able to pass on our savings to you. You can save up to £500 on your fridge filters over the life of your fridge. We can send it to you right now by first class delivery. It will last for approx 6 months. We will remind you when to replace it. The pack we send will contain everything you need to ensure an easy, smooth changeover. The standard fitting fits all fridges with 1/4" plastic water hose. This is the most common size and it's very unlikely that you don't have it. However if you do have a different tube size that's no problem. We will quickly send you a quick push fit converter. This is Free. (Simply contact us if you need this after purchase and delivery). This only takes a few minutes at most. It is a very simple job. No plumber should be necessary - unless you can't - or don't want to do things like changing a light bulb. The filter then needs to be changed every 6 months. The indicator light on your fridge's display panel will go on after 6 months. (Please note this light is set on a time alert and is not about amount of usage). Regardless of the volume used; once the filter has had water inside it, it will need changing after 6 months to prevent a build up of potentially harmful bacteria. We will send you a free reminder when it's time to change. However, there is no obligation to buy a new one from us. Your filter is designed to bring you the freshest tasting purified water. It significantly reduces impurities, dirty particulates and any bad odours that can be carried in normal tap water. There are no metal parts in the filter so there is no risk of any rusting or associated stains. Owing to customer requests we now include two quality cable ties. If your original filter was attached using cable ties you will need to cut these to remove your old filter. Simply replace them with the new ones in the same way it was before. Your new cable ties are 12 inches long. Here's a picture of everything you get including the cable ties. Visitor: How do I change a WSF100 water filter? Special Offer Online Price £14.75 all incl. The minimum and maximum water pressure for these filters is between 1 and 6 bar - which is well within average normal UK mains water pressure levels. 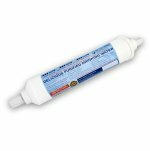 Our replacement cartridge is compatible with any Samsung refrigerator that has an external filter, i.e. a filter that sits OUTSIDE the fridge. Please note if your Samsung fridge model number is not listed above but uses the EF 9603, WSF100, Hafex / Exp OR any other type of filter that sits OUTSIDE the fridge it will still be compatible. One or two models of Samsung fridge water filters have Internally fitting cartridges Please see Samsung cartridge DA29-00003A). Very pleased with the service and products from this company! We have bought from them over recent years and can definitely recommend them. Brilliant and friendly customer service. The deliveries are always on time. 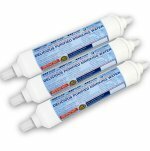 I order all my filters from UK Water Filters and never had any problems. Never had any problems with this company. Your customer service is great, the product supplied is both efficient and easy to install and I have no reservations about coming back to you every time for replacements. All round great customer satisfaction I had one little problem not their fault but they sorted it out straight away. Excellent service, quick delivery at a very good price. Instructions included for fitting. I've been using this company for several years now. Very slick all round service, can't recommend highly enough! Prompt response to my order of a new water filter for my US style fridge freezer. Package arrived the next day with clear instructions for connection. When I first looked for a replacement filter for my fridge's water dispenser (several years ago) UK Water Filters were by far the cheapest. Since then I have found some cheaper ones and have tried some; however these cheaper ones have been false economy requiring enormous amounts of initial flushing and even then not doing the job properly with the water still tasting tainted. The filters from UK Water Filters still need a flush but not overly long and the water produced is very clear without any residual taste - and they are still a lot cheaper than the "official" filters. Their service is first class not only do the filters arrive VERY promptly, but they send out reminders when replacement time comes around (very useful as it is easy to fit and forget) and always follow up your purchase to check that all is o.k. I shall not bother looking elsewhere again. These are the people to use. 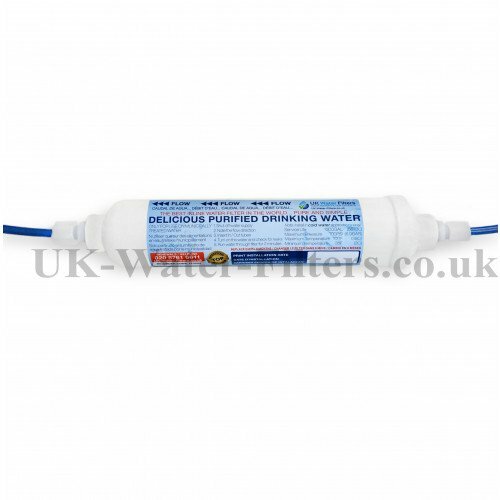 I have found uk water filters well priced and helpful in fitting and maintain the system for filtering my kitchen mains water and ice cold water on my fridge. I have used this site around 5 times now to renew my fridge water filter. Their service is speedy and good. The filters need a few jugs of water running through at first but are then fine and much cheaper than other filters. 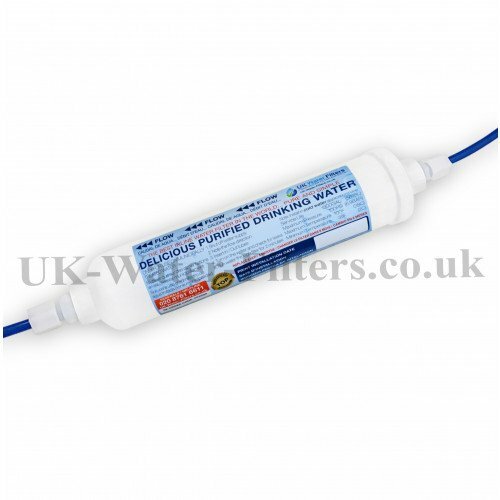 UK Water Filters Ltd offer an excellent service with products to match at a highly competitive price. I have been a user for nearly a year and have been as impressed with the service I have had as with the effectiveness of the product. I transferred from a leading brand to a UK Water Filters product and have found it to be more than its equal. UK Water Filters are great. I have used them for the last few years and I have always found them fast and efficient with their service and great value. I wouldn't hesitate in recommending them! I have found this company to be of a very high standard in every way. From marketing ( which is not annoying) to the speed communication and quality of service.I will continue to buy from them without any concern. Received what I ordered/wanted very quickly and was kept up to date in all aspects of the purchace procedure. Very close follow up which was appreciated. They provide a due date e mail to ensure you are not running the Cartridges for too long and respond quickly to our order when placed. Great service, received filter really quickly and very easy to fit. They also sent a reminder to say the filter may need to be changed and sure enough the filter light on the fridge changed colour the following day!! Would definitely recommend them. Prompt service and delivery every time. Plus courteous responses to any queries. I have had a number of water filters from this company over the last few years and I really can't fault the fast service and ease of ordering the company provides. Filters are one of the items which you can let drift as they are never a priority but this company reminds us every 6 months and by then the warning light will have come on on the fridge. It's a great service it could only be bettered if they were sent every 6 months without us actually ordering or this was an option and our account debited and we could forget about it completely. Good reminder service, tells me to renew. Service and delivery spot on!! Dealt with very personable and available real people when needed also returned telephone call messages left. Personally found the domestic type water filter with lime scale removal best and approx 1/3 costper year of the B##tta equivalent and only needs changing annually too. You get a useful reminder when filter is due changing. This order was for an external water filter to fit a Samsung fridge freezer. I have been a customer of this company for a few years, getting replacements as I need them. It arrived promptly and was very easy to fit. The water filter is always sent promptly with a follow up email to ensure delivery has taken place. I am delighted with service I receive. I get good service from these people would recommend them. I have used UK Water Filters Ltd for a number of years, now, and can thoroughly recommend them. I have one of those large American fridge freezers, and was pleased to learn that they could supply replacement filters. Their postal service is super-swift, and they often follow up by e-mail to ensure that it has been safely received and all is well. Great service good customer service best prices. Very glad that I found this company on the net. We have used UK water filters for many years (8?) and have no problems whatsoever with either the product or the service. We used to have an LG American style fridge freezer and upgraded to an AGA a few years ago. Rather than use the very expensive internal AGA filter we stuck to the original in-line external style used in the old LG. It works just fine and is ££ cheaper. Easy to fit - no leaks and it works. They also remind us when we need to change it and it arrives in a day or so through the Royal Mail Post. It could not be easier. We would not go anywhere else. I have never been disappointed when dealing with UK Water Filters. They provide a fast efficient service with a keen eye on customer service and after sales care. On the one occasion I had a problem with a new purchase it was replaced quickly with a minimum of fuss or bother. Reordering is easy and quick due to the ability to search past orders and the email reminder that unerringly arrives within days of the filter requiring a change!! I've been buying water filters from UK Water Filters Ltd for many years and always found they provide a good quality product for a competitive price with prompt delivery. I have used this company for a few years now and they are extremely reliable and always follow up on orders. I would thoroughly recommend them to anyone. Arrived as promised and quickly. Have used this firm for the last few years. Very reliable. Great place to buy your reliable water filters from! Efficient ordering and delivery. Filter works well. 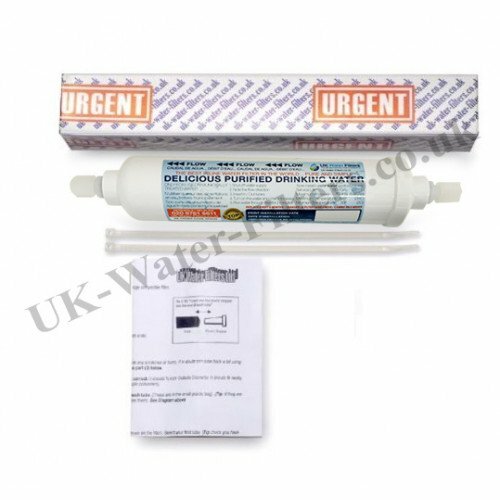 I have used UK Water Filters for several years and they are always very prompt with delivery, very courteous when you deal with customer services and very helpful if you have a query. I would have no problem with recommending this company to anyone. Very good service. Nice To know someone is taking care of me Later after my purchase. Been using this company for 5 years or so and the service is excellent. They remind you when your water filter is coming near the end of its usefulness and once you order the filter arrives within 2 days. The filter has always been found to be of great quality. Prompt response and good packaging. Very fast delivery, good prices, will definitely use the company again. A reliable company with quick,efficient service. A pleasure buying from them as they have great customer service. A very good company to deal with, prompt delivery of goods and a good reminder each six months!! The water filters supplied by this company are very competitively priced. The delivery was very efficient and speedy. After ignoring the amber/red warning light on my fridge door for some time the timely reminder, received by email, was much appreciated. Excellent service, filter was as advertised and was easy to fit. I particularly like the prompt they send me when I should be changing it, this helps me to maintain my water quality. Filter arrived promptly, fitted easily, works well and was a good price. What more can you ask! Very happy with the transaction from beginning to end. The order were shipped to my home in Cyprus and were received and were as described. I will definitely order my filters in future from this company. UK Water Filters reminds me every six months with a message from Edward to renew my water filter cartridge. The service is very personal and I feel like they know me. The filter is delivered in a couple of days and always followed up by a message to see if it has been received (and a reminder to fit it). All in all a great company to buy from, even though our order is small they show great attention to detail and service. Brilliant service always. Promptly delivered and followed up with a message to ensure my filter has been delivered safely. I have been using UK Water Filters for some time and have recommended the company to friends and family. Excellent customer service. Very professional company, helpful and reliable! Excellent company, have been using their water filters for around 10 years. Never had a problem with them. 1st class service. I would definitely recommend this company. Very efficient, with an excellent reminder service which ensures that filters are current, and consequently water is fine. Order to delivery lead is always down to a minimum. I just have to follow the supplied link when I get a reminder and add my card details. A couple of days later, the cartridges arrive. It could not be easier. On one occasion I also needed some tubing and connections. Ed could not have been more helpful. Shame it's bad British postage. Took a while to arrive which seems even longer when you desperately need it. Have used UK Water Filters for many years without disappointment. Always a good company to deal with quick delivery and the price is very good the cheapest take I could find on the net, will use this company again. Low price, very good quality/compatible with Samsung fridge and delivery always in time! 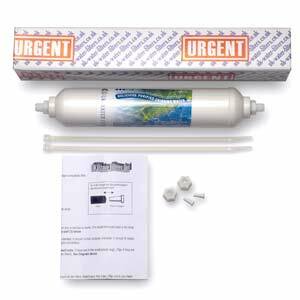 We have been buying the external fridge water filter now for approx 6 years and will continue to buy as they are excellent value for money and last a long time (about 6 months) very happy with the product. thank you. Only just fitted but seems to be doing the job. Instructions couldn't be simpler to follow and delivery nice and prompt. Nothing more to say. Since coming to France 6 years ago I have purchased Fridge filters from your company and I am delighted with the product and the timely reminders you send. I would recommend the company for their speedy service and excellent products. Many thanks to all your people from one very saticfied customer. Fast service, good product, fairly priced. I buy my water filter regularly from this company they have always provided an excellent courteous service & respond quickly to any queries that may occur , furthermore they contact u after ur order has arrived to check that all was in order! Excellent quality and excellent services , nice persons on line . A fraction of the price of the Samsung original water filter. Quality no less than the original arriving with full fitting instructions. There's always someone available to provide advice should that be necessary. The company has an excellent customer care department sending out timely reminders within the six month life expectancy of the filter. I have used this company for a number of years now. Product is very good, excellent price with fast delivery. Yes you do need to run quite a lot of water through until it runs clear but this doesn't appear to affect the life of the filter. I renew 6 months after fitting. The reminder service and the follow up provided by the company adds a really nice personal touch which shows they appreciate your custom. Replacing OEM Samsung in line filter. - Review by Anthony. The fittings are different and some modification is required, but in my opinion this is for the better. There was a need to pass a lot of water through to obtain a clear supply and I worry what impact this will have on the life; but time will tell. For sure it is now doing its job well. I should also state that the service from UK Water Filters is brilliant. I can confirm that filter arrived in good time. It is fitted & seems to be working OK. ( day 1 into the mission ) If it stands the test of time, I will certainly be back for more. Because you deserve it & because of your perceived good sentiments, ref your considerate email conformation. 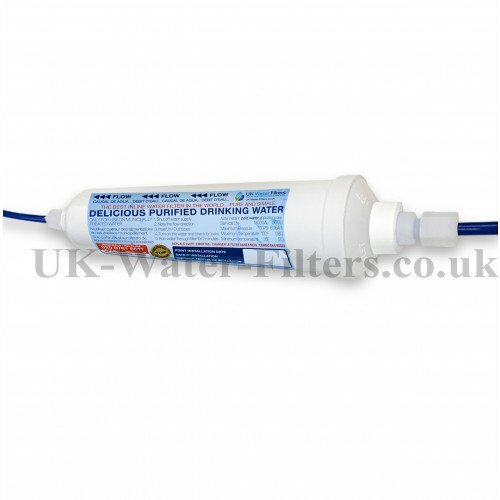 I do not have any technical tips because all was straight forward but if I had to give a tip, it would be:- "Shop with UK Water Filters if you want good after sales service"
Have been using these filters for 6 years now and never had a problem. Excellent product and excellent service for outstanding value. Thank you. Filters well arrived 2 weeks ago. I installed one of them already and it works perfectly. Prior to finding the UK Water Filter site online we had tried other filters (however they were double the price) we thought we would try these Samsung external water filters(we thought they were too cheap to be good!) well we have been using them for the last 6 years the quality is excellent and the service matches it,we order one day and the filters come the next day.would we recommend this company YES. Thank you again for your service. I have just renewed my fridge filter for the second time with this company. They sent me a complimentary fridge magnet with my first order, which I did stick on my fridge to remind me who to contact which is a great idea. Excellent service, easy to fit and works fine. Great comms; I ordered from them 2 years ago and they were able to tell me without any hassle what I had ordered - great customer service and postage - wouldn't hesitate to use this Company again. Thanks. Received filters OK I have been using your fridge filters for some years at a property in France they appear to work well. Thank you... For continued years of reliability, you have a company to be proud of! Have used UK water filters for a lot of years & their filters are the best we have used even better than Samsung's own filters. This company & there customer service is the best by far, 5 stars doesn't seem enough for such an excellent service. Many Many Thanks. I highly recommend UK Water Filters to any prospective customers. Good communications throughout and goods arrived here in Ireland within a week of ordering. I have purchased filters from this company on previous occasions and the service, delivery and quality of product has always been good. Excellent Customer Service - Review by Darla B.
I am so impressed with the customer service you provide. You sent me a timely reminder (otherwise I would have forgotten), made ordering easy, delivered within 24 hours and provided clear, easy installation instructions. Water tastes great! They have got a very fast and effective client service ! I do suggest you this Company! I've been buying my water filters from you for few years now and wouldn't go anywhere else. Your water filters are excellent quality at a brilliant price and your delivery service is second to none. Overall...... Brilliant customer service in every aspect... Thank you. Excellent, competitively priced product, accompanied by a very fast and efficient delivery service and helpful advice if required. A product and service I would thoroughly recommend. Excellent service and working very well.. thanks ! We have ordered these filters for our Samsung American Style Fridge for about 4 years now and we have always found the service, delivery and product to be first class. Recommend. thank you , great service, most of all great price . will use you again. I have been using this company for years and find that they despatch quickly and efficiently. I have been ordering products from you since I bought my fridge in 2005 and the service I have received has always been very efficient. However when things go wrong (which may have been my fault anyway) you really pull out all the stops - within 5 minutes of sending an email I get a call to put things right and a replacement product within 48 hours - brilliant! Hi just a quick note to thank you for a very fast and efficient service on my recent order.